Author: David Grattan. 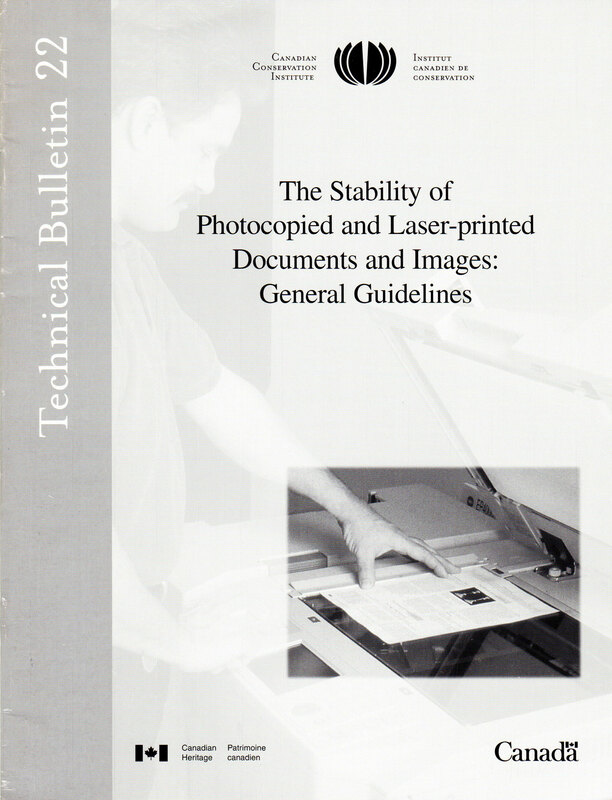 Reviews the technology of photocopiers and laser printers and discusses copy stability and preservation. Includes a test sheet for toner adhesion to paper. Describes permanency standards of paper. Also lists preservation concerns for the care of photocopied documents.